There in the back right corner of the dormitory type room lay a lone little guy in a crib and on the end of the crib it said "Abandonado (7 mes)". A normal visit to the local children's hospital to pray and visit with the families and children suddenly changed the way we looked at our lives. The Bible says to look after orphans and widows and we often hear sad stories and we often say, "oh, I wish I could have taken that child." I feel like God has been asking our family if we really mean it. We have come across many orphaned or abandoned children in this country but none that have touched our hearts quite as much as this little guy who lay in this corner crib. His crib said his name was Inderson. His arm band said his name was Yderson. His xrays and reports said Giberson or Giderson. We just nicknamed him Little John. The story of his arrival and abandonment has changed almost every time we visited. No one quite knew where he was from or what his name really was or how old he was. All we know is that for some reason God has placed this little guy in our paths. 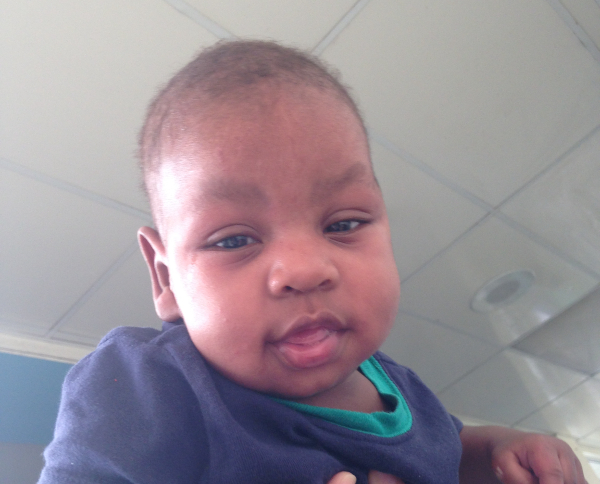 The "official" story is that he was born September 29, 2014 to a Haitian couple. He went into a hospital in a small province about an hour and a half outside of Santiago on December 25 or 26 and on December 29 was transported to Santiago to receive better care. Little John was a very, very sick little boy. The pile of chest xrays on his bedside table show the evidence of this being true. The part that no one quite knows is why his parents did not come with him. They are listed on his official papers and they are Haitian. They have the same last name and Little John is named after his father. But no one quite knows where they are or why he came alone and remained alone all of this time. No one has been able to explain why he lay in his crib without his case being looked into for 2 1/2 months. On March 12, we found a very lethargic but healthy baby boy laying in his crib who would barely make eye contact or respond and so began our quest to see what we could do to help him. On March 16, we visited the government organization that is in charge of cases like this and that started them looking into his case. Little John had already been in the hospital alone for 2 1/2 months at this point. There are many unanswered questions regarding Little John but one thing remains true. Little John is a child of God and God has plans and purposes for his life. He has not been abandoned by God and has changed many lives already. Yesterday, Martha, a hospital worker, was washing Little John up and trying to help him learn to hold his bottle. She took his picture to show her husband because every Monday she comes and bathes Little John and loves on him for a bit. Other moms, grandmas, friends, nurses, and doctors all stop to say hi and love on this little man. Over the past 27 days that we have started checking on Little John, the hospital has now moved his crib to the front of a room. Many more people walk by and talk to him and check on him. We as a family have gone and loved on him and take him into the hallway and let him look out the window. Little John has already made progress and is rolling over and trying to sit up and smiles easily when you call his name. What will become of Little John? We have no idea. Please pray! Today we along with a pastor friend are going to see if we can find his parents. 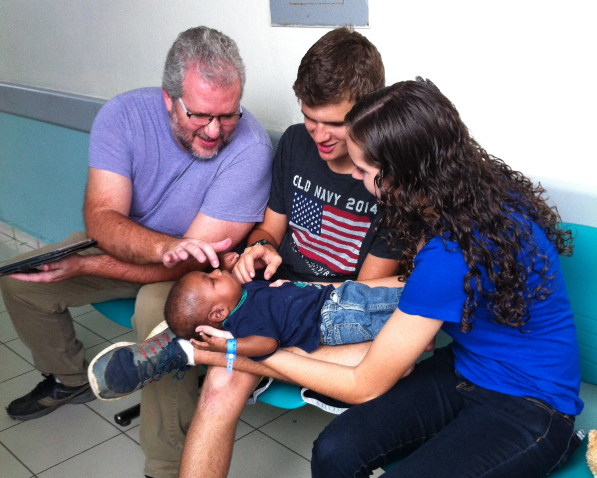 He is scheduled to be moved to an orphanage in Santo Domingo this week. 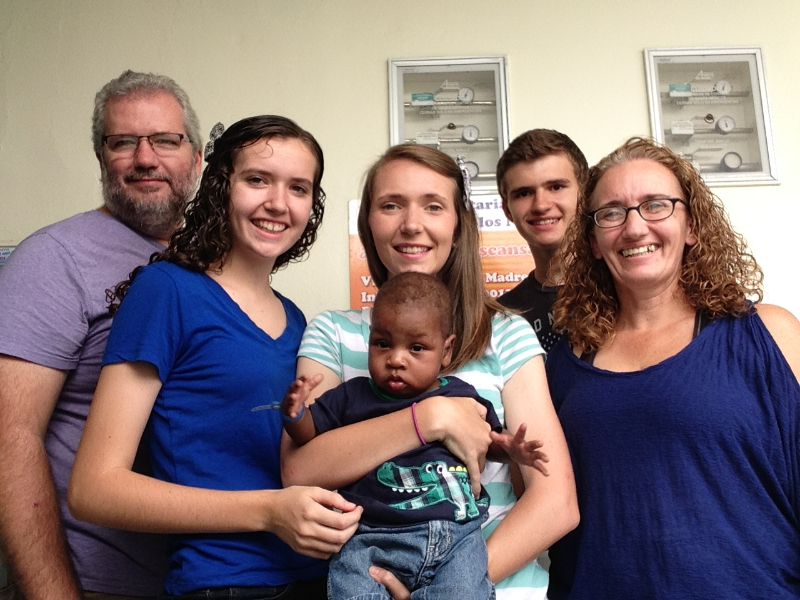 Our family has the information needed to start the adoption process with almost no guarantee that it would be approved. This will take time and money. We have no idea how much of either. But we KNOW that God had Little John cross paths with us and we are counting the cost of what it would mean to take in a baby. We know that God has not told us to stop looking into this little life and so here we go. Thank you for your prayers. We especially need wisdom on how to proceed. We know that God knows and we trust Him. A little more information.... The only foster care program in the country is for children ages 8 to 14 years old. So fostering is not an option. Private adoptions are illegal. The government organization says that you do not get any say in picking the child that you want to adopt. However, we did get some information from one of the top workers here in Santiago that said that because we have "fallen in love" with him and have been providing for him some we can be moved to the top of the list for him. He is Haitian so he is not as wanted by a Dominican family. The hospital provides nothing for his care. They rely solely on others to provide food, milk, diapers, wipes, diaper rash cream or anything else an abandoned child may need. This is one reason we have tried to provide these things along with some needed human interaction for him.